Affordable and Professional Range Oven, Rayburn and Aga Oven Cleaning in Middlesex. Expert Oven Cleaners in Middlesex - West Drayton, Hayes, Northolt, Uxbridge, Greenford, Harlington & Cowley. 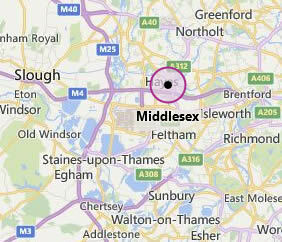 Thanks for visiting Oven Cleaning Middlesex for professional cleaning of ovens in the Middlesex area. Eco Oven Cleaning Company are a family run oven cleaning company with a new branch in Hayes covering the Middlesex area including West Drayton, Hayes, Northolt, Uxbridge, Greenford, Harlington & Cowley. Get an oven cleaning quote online or call 0800 158 3676 for an instant oven cleaning quote. Why Choose Us For Oven Cleaning in Middlesex? Eco Oven Cleaning Company are a family run oven cleaning company based in Hayes covering the Middlesex area including West Drayton, Hayes, Northolt, Uxbridge, Greenford, Harlington & Cowley. Our oven cleaning prices are always competitive and offer great value for money. We'll have your oven looking as good as new in no time so why not give us a call today on 0800 158 3676. As a family run business we pride ourselves on offering a reliable, affordable & fully insured oven cleaning service in the Middlesex area including West Drayton, Hayes, Northolt, Uxbridge, Greenford, Harlington & Cowley. Get an oven cleaning quote online or call 0800 158 3676 for an instant oven cleaning quote. If you are looking for professional, fully insured and reliable oven cleaners in the Middlesex area contact Eco Oven Cleaning Company today!